Each child is special to us, and is treated with lots of love and respect. Let's Imagine's philosophy begins with the love of children and our belief that childhood should be a special time of fun, exploration and learning. Our center responds to parents' growing need for a safe, warm and stimulating environment for their children. To accomplish this goal, it is important that our staff develop a close working environment with you as a parent. We encourage parent interaction and participation. You may drop in any time to visit your child or take part in classroom activities. We believe that the goal of a good early childhood learning program is to stimulate and provide plenty of positive experiences to help children develop to their fullest potential. Our classroom environments are arranged to offer maximum opportunities for creative learning, healthy physical and emotional growth, and positive social interactions. We offer a variety of creative activities, sports, puzzles and games, cooking experiences and dramatic play to enhance learning. We try to make certain that children feel good about what they are doing. 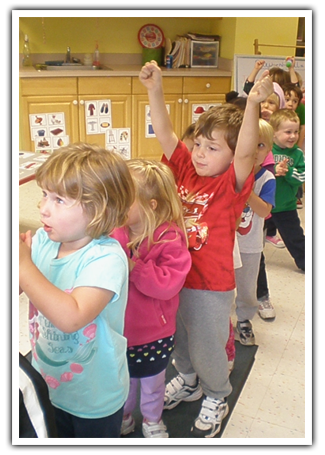 Our staff is trained in early childhood education or a related field of study and teaching experience. Ongoing training and education take place according to DPW guidelines. Quality an continuity of staff is very important at Let's Imagine, and most of our teaching staff has been employed here for at least five years. 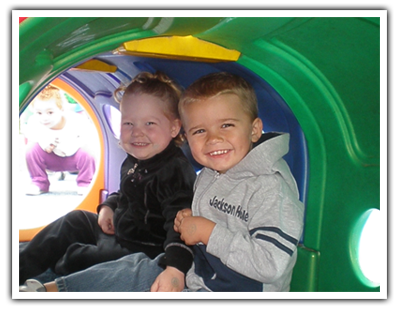 Through staff nurturing, individual attention and positive reinforcement, your child will grow, learn and have fun! Our caring staff working together with you the parent will provide a curricula to help your child build a positive self esteem, the most special and lasting gift you can give your child.